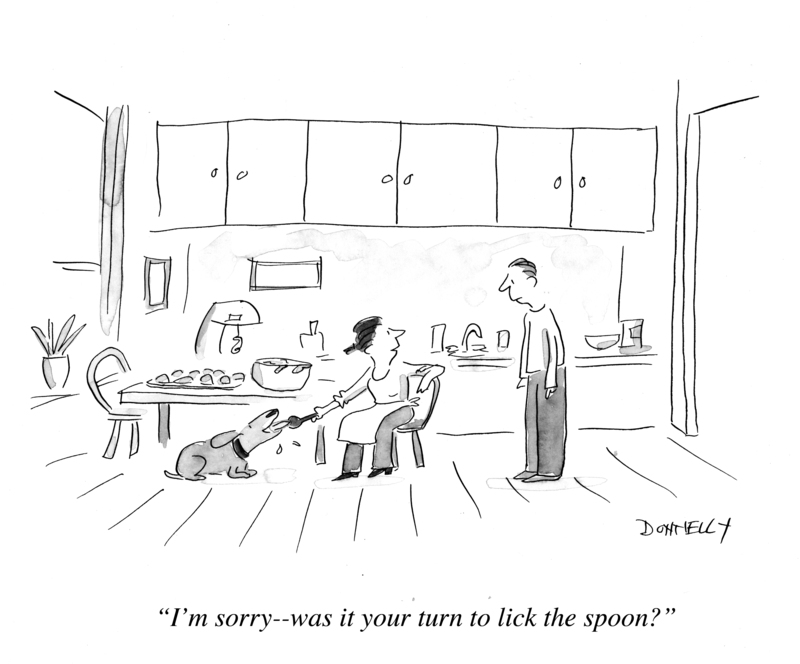 Licking the Spoon…. and a Contest | When Do They Serve The Wine? ← Men Down, Women Up? I love food. I enjoy making food and making people –and dogs– happy (whoever gets there first). I posted this food cartoon today in honor of my collaboration with Monica Bhide. A very talented and celebrated chef and wonderful person, Monica and I actually met on twitter, and hit it off (amazing how that can happen on twitter!). We found we enjoyed each others’ work and spirit, and exchanged books in the mail. A few months ago, Monica and I came up with this idea to post a spice drawing of mine on her wonderful blog, A Life of Spice, and invite people to caption it. 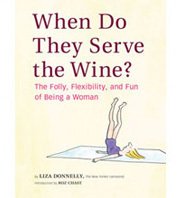 The winner will receive a copy of my book, When Do They Serve The Wine? ( signed with a drawing inside). So enjoy! And enter! Can’t wait to see what you come up with. This entry was posted in About the book, Random but Relevant and tagged Cook, food, Monica Bhide, Online Communities, Social Networking, spice, twitter. Bookmark the permalink. I love contests!! Thanks for making a fun one to enter! for the introduction to a spicy new blog (at least new to me). The dog can have the spoon, as long as I get the bowl! I’m glad you enjoy it. Monica is great!